This perspective has been reinforced by the adoption of the Sustainable Development Goals (SDGs) and the Addis Ababa Action Agenda 2063 in 2015. The path to UHC is relatively simple – at least on paper! Eighteen years after the Abuja Declaration and according to the Africa Scorecard on Domestic Financing for Health (2018), only 2 out of 55 African Union Member States have met the regional target allocation of at least 15% government budget towards health. As African Civil Society, we are concerned at the low commitments by our governments to increase domestic resources for health. With regard to the three major epidemics – HIV/AIDS, TB and Malaria – which are still a threat in Africa; ending them requires sustainable financing to ensure research, development and progress towards UHC. Today, at least half of the world’s population do not have full coverage of essential healthcare services. In Africa, a staggering 11 million people fall into extreme poverty each year due to out-of-pocket (OOP) health expenses. Unless Governments increase the allocation of resources for health and design intervention to promote equity, persisting gaps in service coverage will remain. 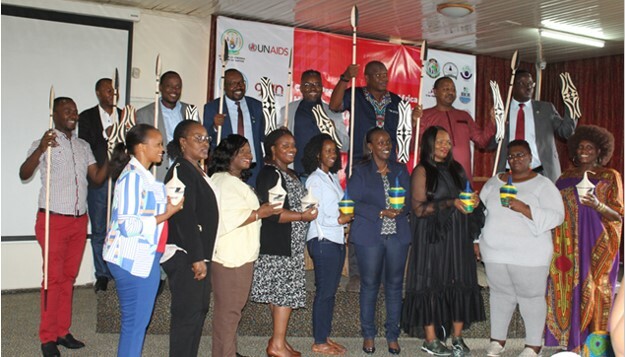 On the sidelines of the Africa Health Agenda International; civil society in their statement echoed the need for more political will by African Governments and emphasized the need to invest at least 5% of GDP towards health to make UHC a reality in Africa. In addition, they called for African Governments to mobilise support for a successful 6th Global Fund Replenishment.